Vertical MBX IP IS much more than just a phone system… It’s a reliable, feature-rich converged solution that delivers digital and VOIP capability for up to 250 users and 72 sites in a single, cost-savings package. MBX IP is a reliable, feature-rich converged solution that delivers digital and VoIP capability in a single, cost-savings package. MBX IP provides hundreds of telephony features. Features like Call Forward, SMDR, VoIP, Internal/External Paging and Least Cost Routing. All the tools you need, when you need them. Add applications with a simple license key. Remove other communications servers when you no longer need them. Vertical MBX IP is more than just a phone system. It’s a feature rich, converged unified communications solution that delivers digital and VoIP capability for up to 324 physical and 324 virtual users and 250 multiple sites in a single, cost-effective package. With the MBX IP’s unique “all-on-one-box” architecture, you have automatic access to hundreds of business-class phone features and integrated applications, giving you countless ways to improve operations, intra-company communications and, ultimately, your bottom line. Integrated voice mail/auto attendant for professional greetings. Multiple voice mail units can be installed to increase port/hour capacity. Automatic Call Distribution, including call center functionality, agent wrap up and supervisor functions. 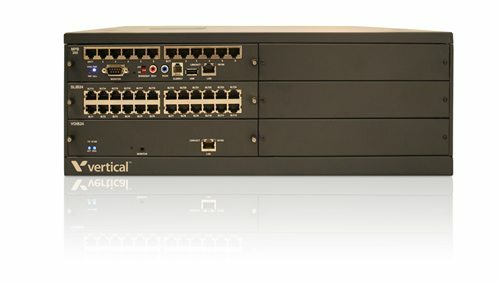 Ability to network small branch offices using the Vertical SBX IP system to facilitate a seamless communications network. SMDR call records to track call costs and prevent phone abuse. The records can be e-mailed on a scheduled basis and imported into Excel. Multi-party conferencing for up to nine conference rooms. Multiple tenant groups allow you to partition groups by department. VoIP (SIP) trunking reduces expenses and provides flexibility. Robust call routing capability enables live answer, auto attendant, or backup auto attendant coverage patterns, as well as DID, ANI, or CallerID routing. Unified Messaging, with ability to receive voice mail as a .wav file attachment via e-mail. Mobile extension allows incoming calls (on T1/PRI or SIP trunks) to ring your cell phone when you are out of the office. One-touch call recording for more accurate customer orders, compliance and training. Call Screening allows you to listen to callers that have been routed into your voice mail so you can decide if you need to speak with them or not. 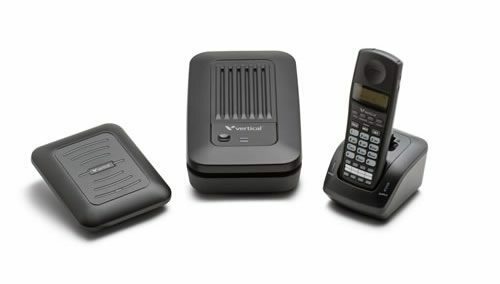 Roaming mobility with DECT cordless wireless telephone offerings. Detailed reporting integrates with accounting and other management applications. One-touch feature button access for easy and intuitive feature operation. MBX IP provides softkeys with intuitive navigation via the LCD of a telephone. With the optional EZPhone application, CTI integration with Microsoft® Outlook, ACT and Goldmine is available. Optional EZAttendant software application provides attendant/operator stations, rapid call handling and instant visual status to efficiently process calls.